The Department of Athletics and Recreation welcomes you to the University of Toronto Scarborough. The Athletics & Recreation Centre at UTSC is one of the hubs of activity on Campus and a gathering place for those pursuing a healthy active lifestyle. We strive to create a respectful and inclusive environment that promotes opportunity and overall well-being through physical activity. 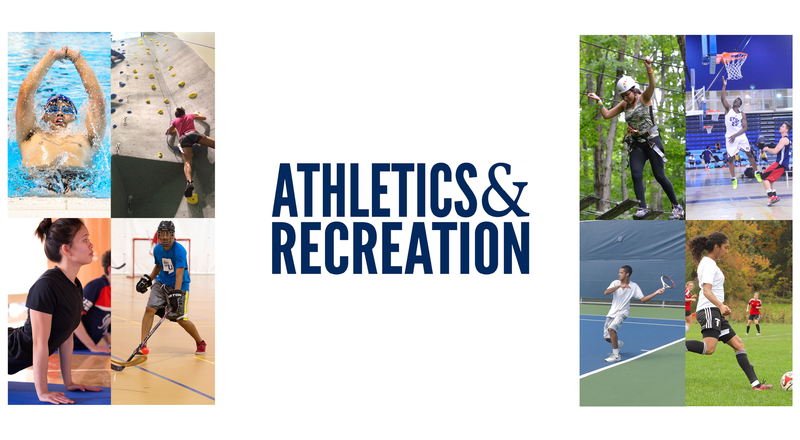 Visit our Athletics & Recreation Home What's Happening!